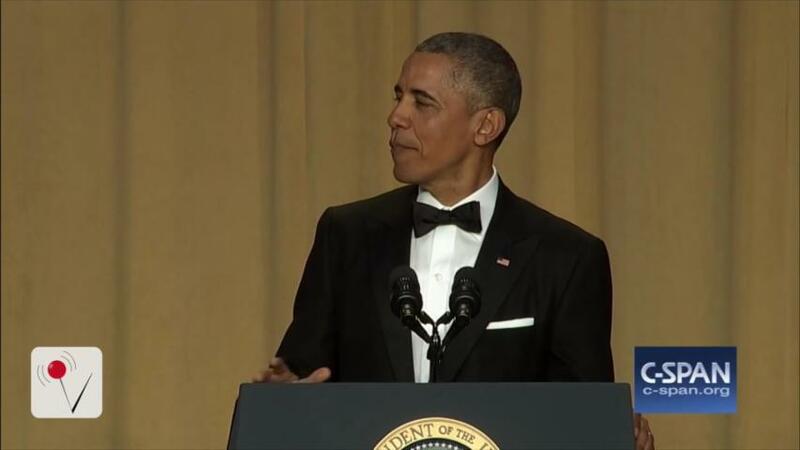 The White House Correspondents' Dinner was full of jokes, but stand-up comedians weren't the only ones making the zingers. When referring to his rising approval rating, President Obama said, "The last time I was this high, I was trying to decide on my major." Obama's approval rating hit a three-year high of 53 percent, according to Gallup. He has a 66 percent approval rating among young voters ages 18 to 29. Also worth nothing? More women like him than men. Obama did propose a theory regarding the climbing rating, pointing his finger at presidential candidates Ted Cruz and Donald Trump. It's also possible the rise is due to his progress with Cuba, a historic Iranian nuclear deal, a global climate pact with nearly 200 nations and 73 straight months of job growth. On Monday, Gallup showed his approval rating to be at 52 percent, and it's hovered near there for months. He just beat Ronald Reagan, who had a 49 percent approval rating at this point in his presidency in 1988. George W. Bush had a 28 percent approval rating in 2008, and Bill Clinton's rating was at 57 percent in 2000. Obama is also viewed more favorably than any of the current presidential candidates. His rating had dropped down to 40 percent 18 months ago, during the 2014 midterm election cycle, meaning he's had a 13-point surge in just the last year-and-a-half.